At first blush, the purpose of the Recess Appointments Clause seems rather obvious- it enables the President to fill offices temporarily when the Senate is not available to provide its advice and consent with regard to a permanent appointment. As Professor Michael Herz observes, the RAC’s purpose seems “sensible, straightforward, and unquestioned.” Yet it may be beneficial to spell out its purposes a little more precisely. This purpose is the one stressed by those who urge a broad reading of the RAC. It is worth noting, however, that the Framers did not give the President the power to fill any vacancy when there was an urgent need. The President’s power is limited both as to which vacancies he may fill (ie, those that “may happen during the recess of the Senate”) and as to the duration of the commission that he grants (ie, until the expiration of the Senate’s “next session”). The Framers could have given the President the power to fill all vacancies until such time as a permanent appointment was made, but they did not do so. A second purpose of the RAC appears to be to provide a clear and objective rule as to when the President may fill vacancies. The President might have been given the power to fill vacancies only where “necessary,” or on “extraordinary occasions,” or “where required by the public good.” But the President’s power is not qualified by any such discretionary judgments; instead, it is bounded by objective factors (or factors that would have seemed objective from the Framers’ perspective). In other words, as Professor Dworkin might put it, the RAC provides a rule, rather than a principle, to guide presidential action. The first and second purposes imply a third purpose of the RAC- namely to supplement, but not supplant, the primary appointment method set forth in the Appointments Clause. The Framers must have anticipated that there would be situations in which the RAC did not authorize the President to fill vacancies, despite an urgent need, yet they chose to rely on advice and consent (or supplemental statutory authority) to address those situations. Perhaps this reflected a naïve assumption that the Senate would always act with dispatch when circumstances warranted, but is seems more likely that the Framers were willing to bear some risk of unfilled offices in order to protect the primacy of the advice and consent process. However, because advice and consent appointment requires the cooperation of both the President and the Senate, the connection between any particular interpretation of the RAC and advancing this third purpose is somewhat obscure. A broad interpretation of the RAC may encourage the President to circumvent advice and consent altogether, or it may cause him to be less interested in listening to the Senate’s advice or nominating someone who could easily secure the Senate’s consent. On the other hand, a narrow interpretation of the RAC may discourage the Senate from acting promptly on the President’s nominations, or from giving them appropriate deference. But even this isn’t clear- a narrow RAC could arguably force the Senate to act more responsibly. This calculus is difficult even if one accepts the widespread view that the Constitution mandates a certain code of conduct by the Senate in response to the President’s nominations. Under this view, the Senate ought to give significant deference to the President’s nominees (or possibly just non-judicial nominees) and each nominee is entitled to an up or down vote within a reasonable period of time. This view may well be correct, but it is not obviously so. The Appointments Clause does not actually say how the Senate is to exercise its advice and consent function. It does not say that the Senate is required to hold a vote in order to signify its consent, nor that such a vote must be by a simple majority. It does not say that the vote must be held within a certain period of time. It does not say that all nominees (executive, judicial and independent agency) need to be treated in the same fashion. Finally, it says nothing about how the Senate is to provide “advice” on nominees and the relationship, if any, between the Senate’s advice and its consent. (For differing perspectives on these issues, see this exchange between Professors Larry Sollum and Michael Rappaport). In short, interpreting the RAC in accordance with its purposes is not as simple and straightforward as it might seem. But those purposes provide some guidance in evaluating possible interpretations of the RAC, as I shall discuss in future posts. When we left the Recess Appointments Clause in the mid-19th century (for earlier posts, see here, here and here), the executive branch had embraced the proposition that a vacancy “may happen” in the recess of the Senate even though it first arose while the Senate was in session. The legislative branch had not accepted this position, but had not clearly rejected it either. With regard to original vacancies, the situation was reversed. The Senate was understood to have rejected the use of the RAC to fill original vacancies, while the executive branch, to the extent that it had addressed the issue, seemed to have accepted the Senate’s position. Neither branch, as far as I know, had directly addressed the lurking issue of whether Congress by legislation could change the baseline RAC rules. Presumably Congress may not regulate (or at least not eliminate) the core RAC power of temporarily filling vacancies that arise during the Senate’s recess. But can Congress legislate around the penumbral edges of the RAC? For example, can Congress legislatively define the circumstances in which it would be proper for the President to fill a vacancy that arose before the recess in question began? Could it prohibit the President from filling the vacancy if he failed to submit a timely nomination while the Senate was in session? Could it prohibit the President from filling a vacancy that arose before the Senate session that preceded the recess? Could it prohibit successive uses of the RAC for the same vacancy? These questions remained (and still remain) open, but at this point Congress had not attempted to use its legislative power to curtail the President’s use of the RAC. On the other hand, it seems to have been assumed that Congress could supplement the President’s RAC powers. As had been noted by the Senate Committee on Military Affairs in 1822, there had been “many instances” where Congress had created new offices and expressly delegated to the President the power to fill them during the recess. A statute enacted in 1792 allowed the President to fill vacancies, whether or not during the recess, in the offices of the Secretaries of State, Treasury and War. This clearly gave the President power that he would not have under the RAC. It appears that no one questioned Congress’s authority to bestow such powers on the President. Such equilibrium as existed, however, was upset in the second half of the 19th century. In 1855, for example, Attorney General Cushing questioned the proposition that newly created statutory offices could not be filled using the RAC. Because he was addressing the issue of filling diplomatic and consular offices, Cushing relied primarily on the idea that these were constitutional offices that could be created by the President, rather than statutory offices (similar to the argument made by Bibb and Horsey in 1814). Nevertheless, Cushing stated that “I . . . cannot allow myself to think that, even if these were statute offices, and the public service should require any one of them to be filled during the recess, it could not constitutionally be done.” 7 Op. Atty Gen. 186, 225 (1855). Who Was the Mystery Witness Invoking the Fifth Before the House Ethics Committee? The letter states that Martin “has reviewed tens of thousands of pages of documents, and has interviewed current and former Committee Members as well as current and former Committee staff. Each current and former Committee Member and current employee, who was requested for interview, fully cooperated with Mr. Martin.” (emphasis added). Following the rule of expressio unius est exclusio alterius (look it up), I would say that the witness invoking the Fifth is a former House Ethics Committee staffer. Any bets on who it is? Update: According to John Bresnahan of Politico, the attorney for Morgan Kim and Stacy Sovereign says that they “both testified willingly and voluntarily before the special counsel and answered all questions asked of them.” So who does that leave? James Grant is best known for his financial analysis, shared with those willing to part with a pretty penny, via the eponymous Grant’s Interest Rate Observer (current subscription rate: US$910). For decades, Wall Streeters have prized his contrarian, quirky insights, and those that have been willing to act on his skepticism even during the most bullish of markets have seen their investments in his publication returned countless times over. The Observer has never wanted for historically based pieces, looking into America’s financial past for insight into contemporary markets. Grant’s love of history, however, has led him to venture into writing full length biographies, the subjects of which have been themselves quirky, interesting characters (e.g. the financier Bernard Baruch, President John Adams). The subject of his latest book, Mr. Speaker! The Life and Times of Thomas B. Reed, the Man who Broke the Filibuster, however, really demonstrates Grant’s talents for uncovering undervalued assets. The result is an intriguing trip with a fascinating guide into a part of American history that’s all too quickly rushed through in a typical history class. Thomas Brackett Reed is not exactly a household name, perhaps not even in the home of a political historian. A Mainer born and bred, Reed was a Member of Congress and eventually the Republican leader in the House during much of what has now become known, thanks to Mark Twain, as the “gilded age” for what Twain perceived as being only a superficially elegant surface covering a corrupt underbody. Reed rose to the Speakership when the Republicans held the majority in 1889 and 1895 for a combined six years. It was there Reed was to make his mark on the House if not the country. To fully appreciate the story, it’s important to understand that Reed’s tenure in Congress and Speakership occurred mostly in the period before the Presidency had matured into the powerful office of today. Prior to William McKinley, the occupant of the Oval Office was still more of the “chief magistrate” that earlier generations of Americans had mostly known. Only during crisis such as the Civil War had they seen glimpses of what the office could and would become once America became a world power. As a consequence, Reed and his ilk were able to be far more influential than we might otherwise suppose, living as we do during a time when the President is seen as virtually synonymous with the federal government itself. As discussed in my prior post on this subject, it seems to have been the prevailing view in the 1814 Senate that the President could not use the Recess Appointments Clause to fill a newly created statutory office, absent explicit authority in the law to do so. This view could rest on three different grounds. First, it might be argued that a newly created office isn’t “vacant” because the term “vacancy” implies that the office has previously been filled. 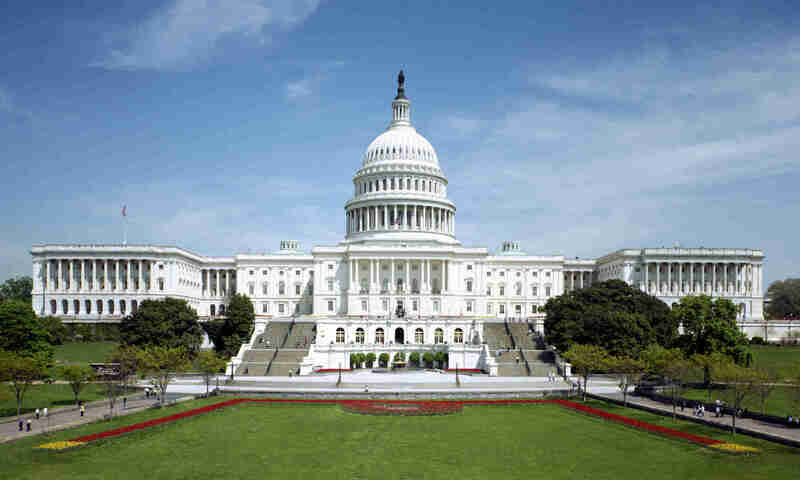 Second, if a newly created office is considered vacant, the vacancy may be said to happen when the statute creating the office becomes law, which will normally be when Congress is in session. Finally, it may thought that any vacancy in an newly created office doesn’t “happen” at all because it is not caused by accidental circumstances like death or resignation. Many years before the 1814 debate, Alexander Hamilton stated that the RAC was inapplicable to newly created offices on both the first and third grounds. In 1796, Hamilton advised President Washington that the RAC could not be used to create and fill a new diplomatic position during the recess of the Senate. See David Currie, The Constitution in Congress: The Federalist Period 1789-1801 154 n. 168 (1997). In a 1799 letter to the Secretary of War, Hamilton reiterated his view that “Vacancy is a relative term, and presupposes that the Office has been once filled.” Id. He also argued that “the phrase ‘which may have happened’ serves to confirm this construction” because “it implies casualty- and denotes such Offices as having been once filled, have become vacant by accidental circumstances.” See Michael Rappaport, The Original Meaning of the Recess Appointments Clause 31-32 (2005). (5) To the maximum extent practicable, each committee shall— (A) provide audio and video coverage of each hearing or meeting for the transaction of business in a manner that allows the public to easily listen to and view the proceedings; and (B) maintain the recordings of such coverage in a manner that is easily accessible to the public. Daniel Schuman of the Sunlight Foundation points out, however, that the Legislative Branch Subcommittee of the House Committee on Appropriations holds most of its hearings in a small hearing room in the Capitol (HT-2) that does not have a pre-positioned camera and apparently these proceedings have not typically been broadcast or recorded. Thus, for example, the public will not be able to view tomorrow’s hearing on the Library of Congress, the GAO, the Public Printer and the CBO. As Schuman notes, it would be very “practicable” for the Appropriations Committee either to move the hearing to one of several available hearing rooms that have a camera or to request that the House Recording Studio provide one in HT-2. While admittedly tomorrow’s hearing is not exactly the half-time show at the Superbowl, the House Rules admit of no exception, even for “really boring” agencies. To continue our discussion of the Recess Appointments Clause, I would like to revisit a debate that took place on the Senate floor in March 1814. It concerned actions taken by President Madison earlier that year, while the Senate was in recess. Having received an offer from Czar Alexander of Russia to help mediate an end to the War of 1812, Madison used his powers under the RAC to name three envoys (John Quincy Adams, Albert Gallatin and James Bayard) to conduct negotiations on behalf of the United States. The President of the United States having by the Constitution power to fill up all vacancies that may happen during the recess of the Senate, by granting commissions which shall expire at the end of their next session. RESOLVED, That, in the opinion of the Senate, no such vacancy can happen in any office not before full. Gore’s argument focused on the words “which may happen” in the RAC. He acknowledged that a newly created office might be said to be “vacant” and that “[a] vacancy may be said to exist in such office, immediately after its creation.” However, “for a vacancy to happen at any time in an office, that office must have been full at some time previous to the period when it did happen; for a vacancy to happen during the recess of the Senate, the office must have been full during their session prior to, and at the commencement of their recess.” (emphasis added). Since the envoy positions given to Adams, Gallatin and Bayard had never been filled previously, no vacancy could have “happened” in these offices, and thus the RAC was not triggered.